The Forums Logo, Annual Meeting 2019 of the World Economic Forum in Davos, January 20, 2019. Copyright World Economic Forum / Benedikt von Loebell. The World Economic Forum (WEF) was founded in 1971 in Geneva to engage leaders in shaping global, regional, and industry agendas. The Annual Meeting, an invitation-only gathering every January, is held in Davos, Switzerland. We're in a new economic era: Globalization 4.0. 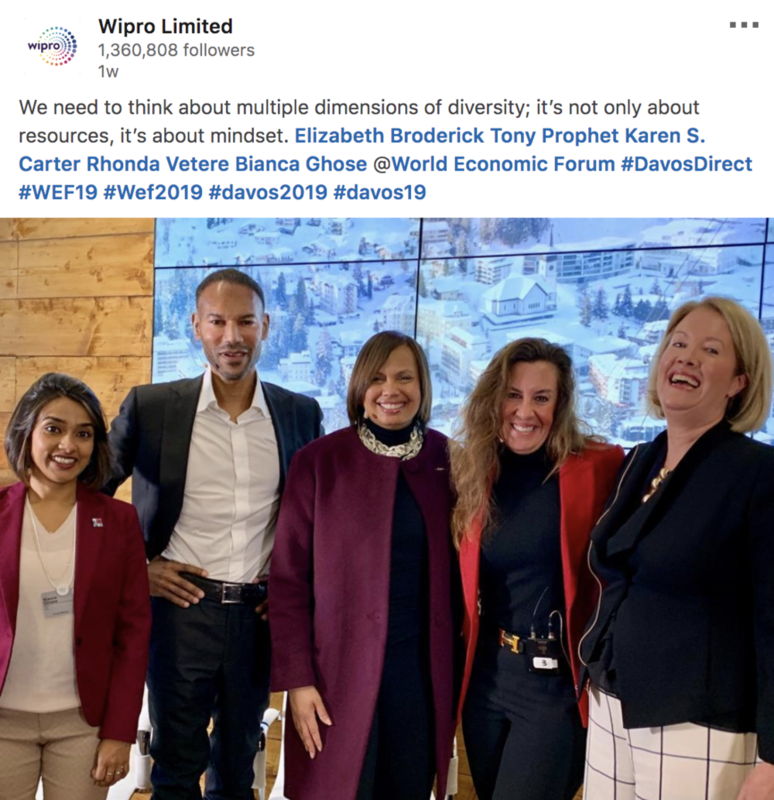 This is the theme of Davos 2019, which will bring together leaders from every sector and every part of the world to discuss how to cooperate on the challenges ahead. 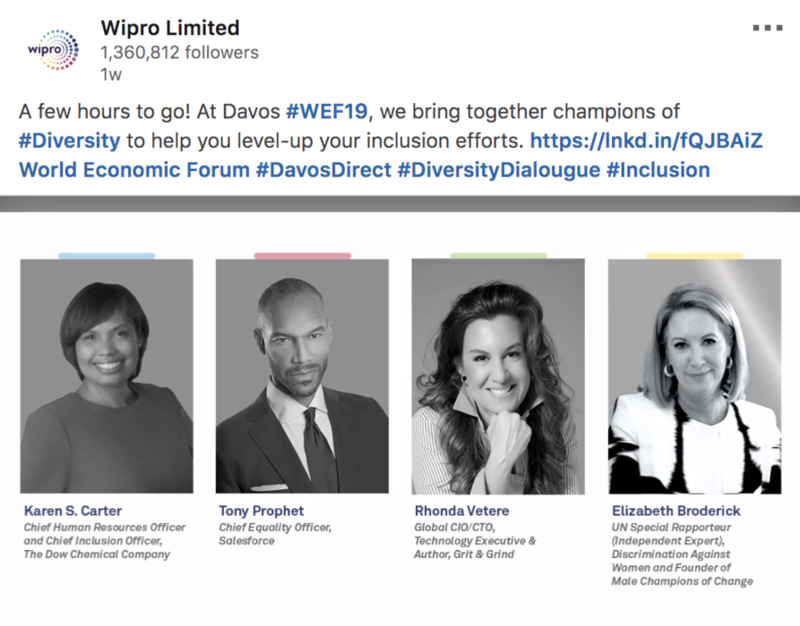 At the 2019 Annual Meeting, Rhonda spoke at the Wipro Executive Breakfast Forum about Inclusion Strategies to Inclusive Cultures. 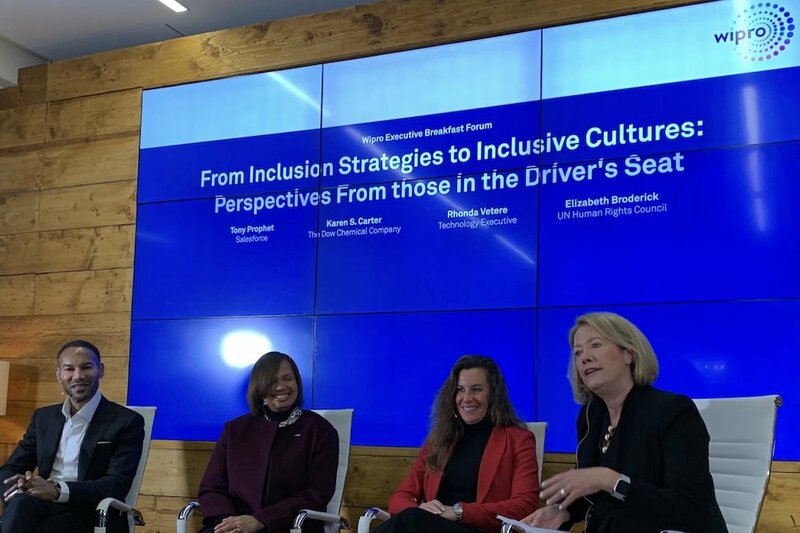 Alongside other executives and a UN Human Rights Council Special Rapporteur, Rhonda addressed diversity in the tech ecosystem. Women, people of colour and those with alternate identities are still sorely underrepresented in leadership and technical positions. This panel addresses the lack of diversity across the tech ecosystem, explores how to move from inclusion strategies to actual programs, and how to level-up your equity and inclusion efforts, with perspectives from senior executives who are champions of diversity. Watch Rhonda Vetere, Global CIO/CTO and author, discuss human-technology harmony and the important skills needed for the next decade. For media kit, press inquiries, or speaking opportunities, please get in touch.